A certain image comes to mind when we think of chandeliers, usually something along the lines of golden light sparkling through a cascade of crystals; but we sometimes take for granted the framework of these decorative light fixtures. The body of the chandelier (the part that holds all the pretty lights) comes in a variety of finishes, which you can (and should) match to your decor. 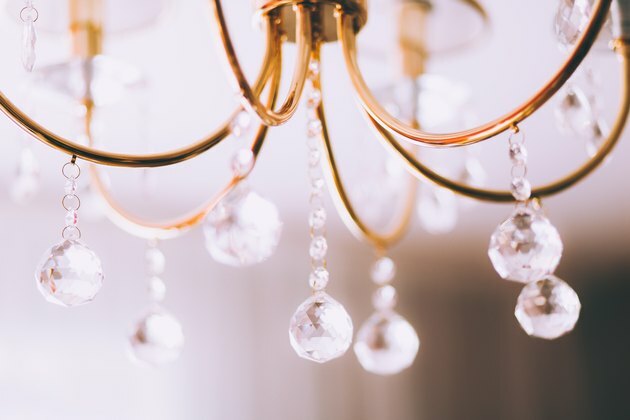 The types of chandelier finishes vary based on material: there's polished brass, oil-rubbed bronze or antiqued bronze, brushed nickel or polished nickel, and black iron. (There's also silver, chrome, and pewter, but these are much less common than the aforementioned materials.) The different types of chandelier finishes help determine whether your chandelier will play the lead or have a supporting role in your lighting decor. Oil-rubbed or antiqued bronze finishes are seen on the majority of traditional chandeliers, as is polished brass. These are the materials and finishes of the fixtures that form the bodies of archetypical chandeliers, the ones that first come to mind when we think of these mainstays of interior illumination. 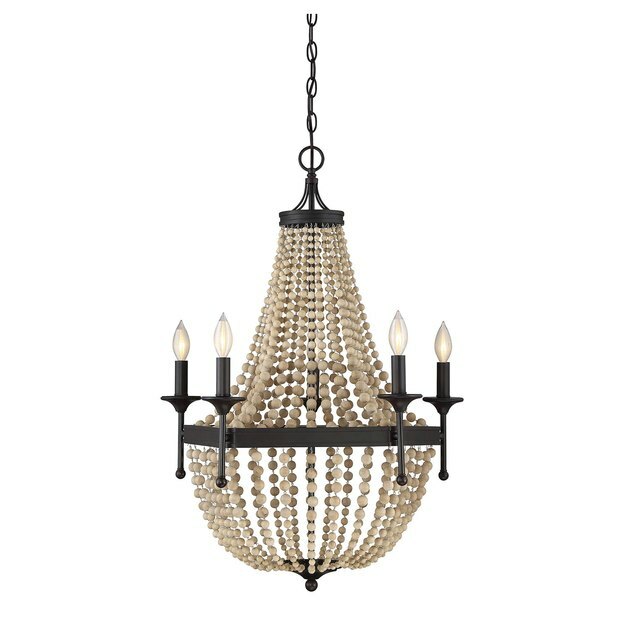 Oil-rubbed bronze and polished brass fit the bill in particular: the sheen of these chandelier finishes magnifies the sparkle of refracted light (it's okay to admit it if you're picturing the ballroom scene from Beauty and the Beast right now). Black iron (also referred to as wrought iron) chandeliers work with both modern and traditional decor. 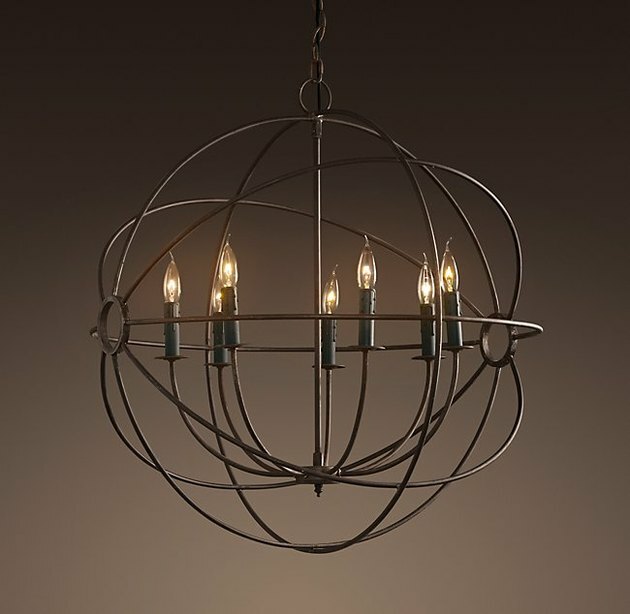 Inventive designs like the Foucault's Orb chandelier pictured above blend the old with the new ( Restoration Hardware, $995 ). This light fixture visually recreates traditional chandelier elements with teardrop candelabra light bulbs in Bobeche candle sticks (that nifty type of candlestick holder that has a curved dish to catch wax drippings), and places them within a gyroscopic modern design. 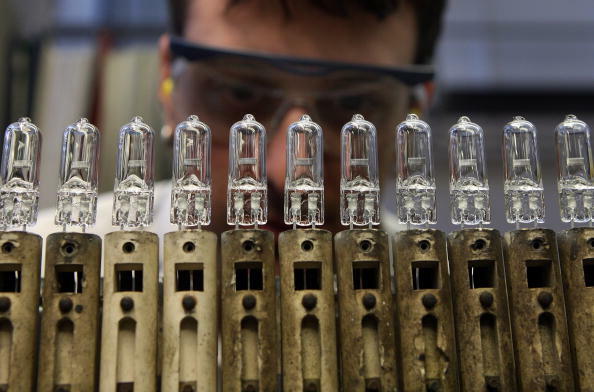 Brushed and polished nickel are the types of chandelier finishes that we see in most modern-style chandeliers. 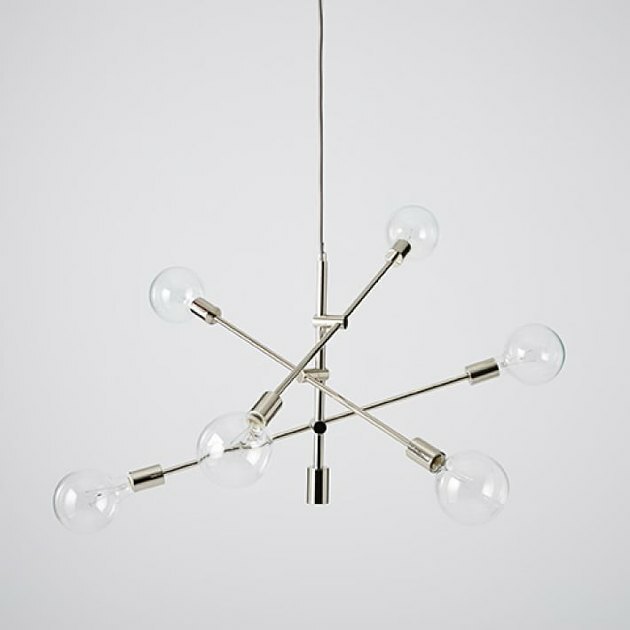 This mobile chandelier from West Elm ( $239 ) features adjustable arms that you can assemble yourself to customize the visual profile of your chandelier (although West Elm recommends professional installation). The frame is made from polished nickel, and the clean shine of its finish combined with clear oversized bulbs give the fixture a very midcentury-modern vibe. Brushed nickel finishes (like the one on this Andover Mills chandelier) have a softer appearance, providing a chandelier option that offers practical lighting without visually dominating decor.